Have you heard the analogy between climate change and steroids? The major league slugger Barry Bonds had been a great hitter before he used steroids. Steroids caused him to hit more home runs, often farther out of the park. Climate change can make Lake Tahoe’s weather act like it’s on steroids. Tahoe has always had occasional odd, intense weather events, like torrential rain storms in the middle of winter. Global warming will make big rain events like Sunday’s more common. Protecting Lake Tahoe today requires improving the resiliency of the lake to the effects of our warming climate, which will include more frequent torrential rains like Sunday’s storm or those we saw in October — causing more fine sediment pollution to flow into the lake — and warmer lake water, providing a more hospitable summer environment to algae and invasive species. The California Tahoe Conservancy’s commitment to restore a major portion of the Upper Truckee Marsh is big. They plan to return the vast wetland where the Upper Truckee River meets Lake Tahoe to a more natural state. Wetlands act as a sponge during torrential rain storms and serve as natural pollution filters. Projects like this will be essential in preparing Tahoe for climate change. President Barack Obama’s visit at last summer’s 20th annual Lake Tahoe Summit put a national spotlight on the threats to one of America’s most iconic lakes. Federal agencies manage the majority of the land in the basin. His commitment to Keep Tahoe Blue renewed the federal government’s commitment to Tahoe. Another notable win for the lake was the cancellation of the ill-conceived Brockway camping resort. The enormous resort would have concentrated thousands of visitors on a relatively remote and forested ridgeline. Brockway would have set a terrible precedent, adding significant traffic and associated pollution to the Tahoe Basin. Congress passed the Lake Tahoe Restoration Act in December, following years of advocacy by a coalition representing Tahoe’s businesses, local governments and the League to Save Lake Tahoe. The legislation authorizes $415 million over seven years for projects to reduce the risk of catastrophic wildfire, tackle aquatic invasive species and drive environmental restoration to protect the lake’s clarity. The road to a healthy Tahoe also had bumps in 2016. Placer County approved two developments that would add thousands of car trips to Tahoe: Martis Valley West and the Village at Squaw Valley. How we handle traffic has become pivotal to Tahoe’s health: auto traffic is now a dominant cause of clarity-degrading pollution. There are two key connections between auto traffic and lake clarity. One, fine sediment pollution — caused when cars crush winter road abrasives — washes off our roads and parking lots into the lake, clouding the water. And two, pollutants in tailpipe emissions feeding excessive algae growth. Global warming will exacerbate such threats. Where there are challenges, there are often opportunities, and 2017 provides plenty of opportunities to curb the amplifying effects of climate change. First, it’s time we do something meaningful about traffic. As anyone who got stuck in the New Year’s gridlock knows, Tahoe traffic is a problem. 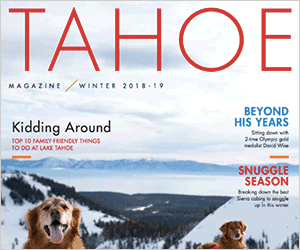 Recent analysis found Tahoe welcomes 24 million visitors each year, in more than 9 million vehicles. That’s about the same number of people who travel to the top five most-visited national parks combined. Addressing our traffic woes requires resolve by Tahoe public officials, who must demand developers choose 21st century traffic management tools to reduce car trips. A current example is the new Tahoe City Lodge, which will implement innovative parking management, transit and bike solutions — cumulatively, the project is expected to decrease the number of local car trips. This must become the model for how Tahoe projects are designed. We must also secure sustainable funds for on-the-ground transportation options that allow residents and visitors attractive alternatives to being trapped in their car. We must also advance more projects like the Upper Truckee River Marsh restoration. Decades of unchecked development destroyed much of Tahoe’s wetlands and meadows. Restoring these sensitive lands will enhance the lake’s resiliency to future storm events like Sunday’s, while trapping more of the fine sediment pollution from our paved areas. Much like Bonds’ injections made home runs more likely, we now face weather on steroids and other new pressures on Tahoe’s fragile ecology. There is a role for everyone in advancing the protections the lake will need. Speak out in support of stronger environmental protections and better transit and transportation solutions. Get involved in the League’s citizen science and community programs: our Pipe Keepers volunteers monitor stormwater to help reduce fine sediment pollution and our trained Eyes on the Lake volunteers are helping the Conservancy ensure aquatic invasive species don’t spread during the Upper Truckee Marsh restoration. Whether you’re a long-time resident or a first-time visitor, there is a role for you in the decades-long effort to Keep Tahoe Blue. 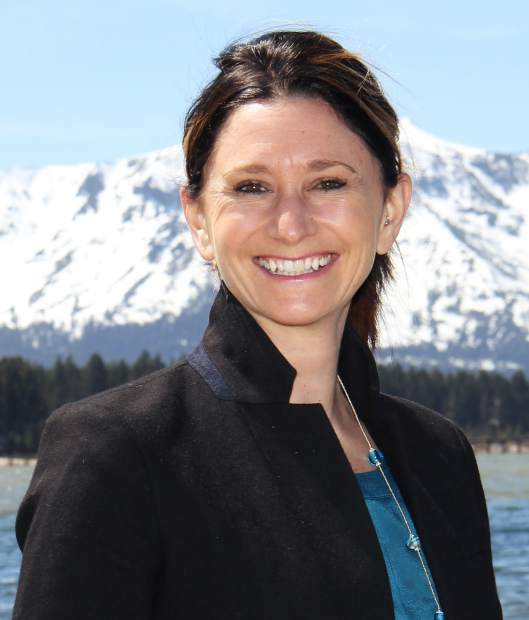 Darcie Goodman Collins, PhD, is the executive director of the League to Save Lake Tahoe. This guest column originally appeared in the Tahoe Daily Tribune. Email her at darciecollins@keeptahoeblue.org.